Catherine Hewitt has had a long career in academia, with a special interest in 19th-century French art, literature and social history. Having been awarded a first-class honours degree in BA French from Royal Holloway, University of London, she went on to attend the prestigious Courtauld Institute of Art where she took a Masters in the History of 19th-Century French Art and was awarded a distinction. 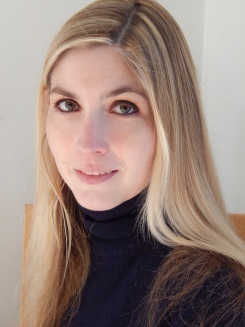 In 2012, she completed her PhD on The Formation of the Family in 19th-Century French Literature and Art, with joint supervision from Royal Holloway and the Courtauld Institute. Throughout her academic career, she has regularly presented papers at conferences, published work in academic journals and was awarded numerous university prizes. On completing her PhD, Catherine set out to use her academic training to bring history and people alive for a mainstream audience. 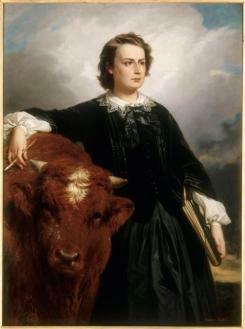 She now writes, lectures and runs workshops on 19th-century French art, literature and social history. She also works as a freelance translator, and her portfolio includes a translation of a permanent exhibition of the work of the radical French female painter Suzanne Valadon for a gallery near Limoges in France. Catherine lives in a village in Surrey. When she is not working, she can be found helping restore her family’s cottage in the middle of rural France, cooking, reading and enjoying country walks with her dog, Alfie. I came across Andrew’s agency through the Biographers’ Club. Andrew came highly recommended. He was 100% supportive from the outset and took an active interest in my work. The great benefit of his service for a new writer must surely be the personal attention and guidance one receives. There is no danger of feeling lost. 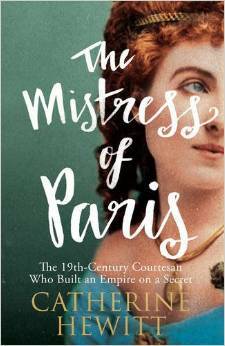 North American rights in Catherine Hewitt’s The Mistress of Paris, the filmic biography of the nineteenth century Paris courtesan Countess de la Bigne and inspiration for Nana, have been bought by St Martin’s Press. 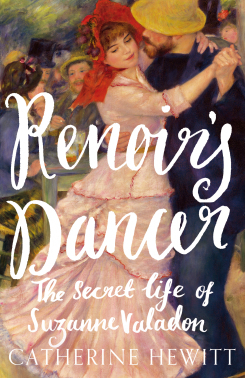 UK and Commonwealth rights in Catherine Hewitt’s new biography, a life of Suzanne Valadon, have been bought by Icon. Considered the Impressionists’ most beautiful model, Valadon gave birth to an illegitimate son, the painter Maurice Utrillo, when she was just eighteen and enjoyed affairs with countless painters and composer Erik Satie.